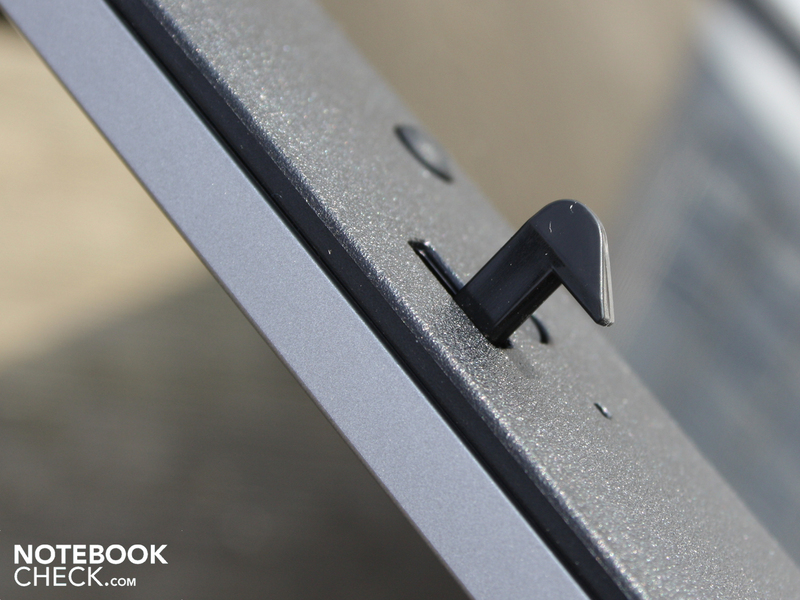 The 15.6" ProBook want's to hold its own in the budget office mid-range class. With matt TFT, Core i5 performance, 1.600X900 pixels and generous connections, it could do just that. Is it perfect in every department? Find out in our review. Notebookcheck is in office fever. Anyone currently on the lookout for a good office all-rounder will hit paydirt with our tests. The Lenovo ThinkPad T410s (14") started it off and was convincing with its Touch-inputs and performance. The devastating price of 2,300 Euro on the other hand left us grabbing for the 13.3" Fujitsu Lifebook T900. It can be had as a pro Tablet/Convertible with up-to-date processors for just 1,500 Euro. For those not needing a touchscreen, a lot of notebook can be had for well under 1,000 Euro. 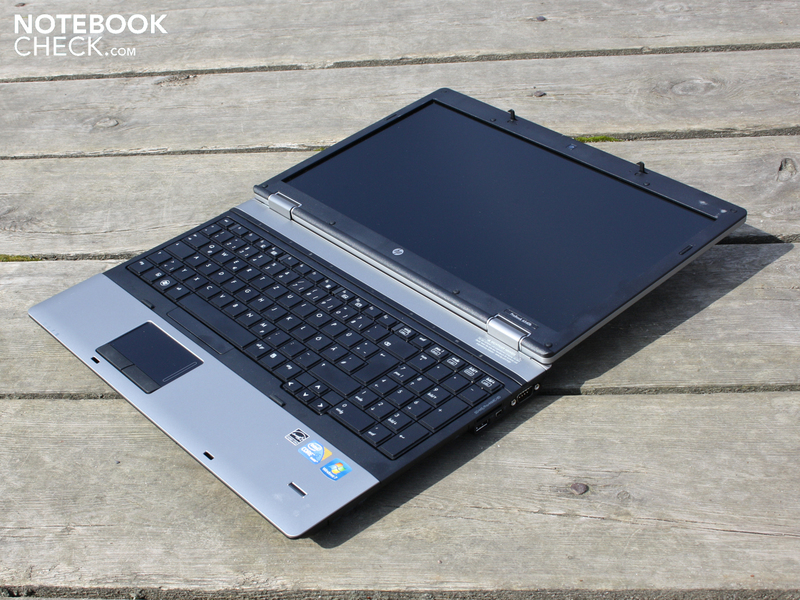 Then there was the Fujitsu Lifebook S710 (899 Euro) which was, however, off the mark with its shaky workmanship. And rounding up was the Toshiba Tecra A11-125 (799 Euro) which had a poor battery life, but still offered a very good keyboard. The greater the challenge, the greater the reward. 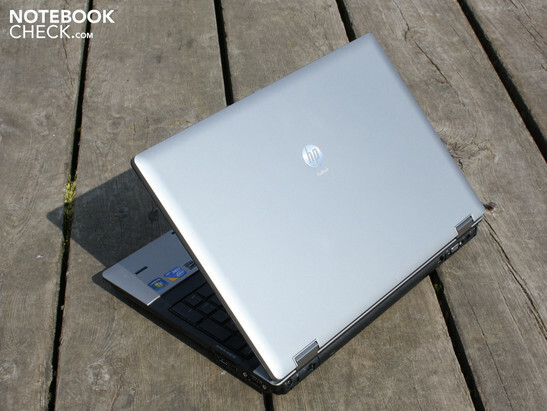 That's what the ProBook 6540b WD690EA from Hewlett Packard says. 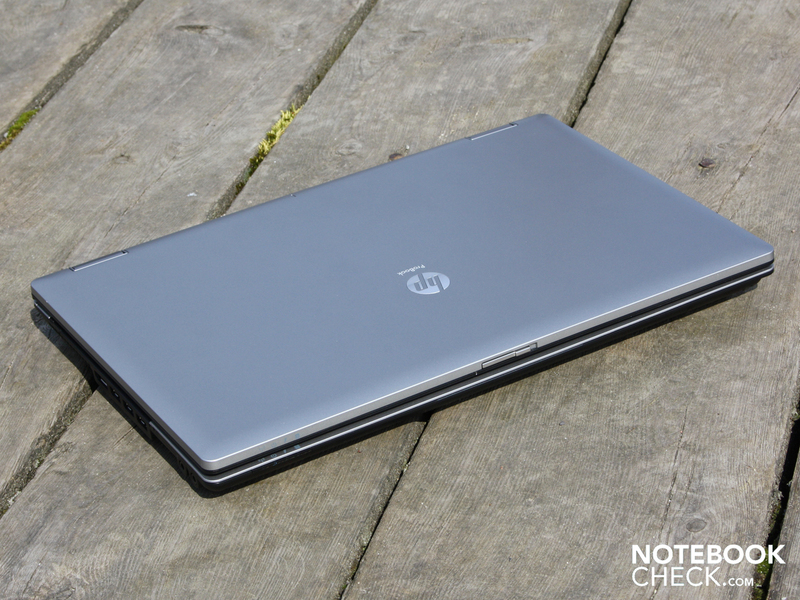 The 15.6"er steps up at 855 Euro and brings an Intel Core i5-430M along with ATI Mobility Radeon HD 4550 with it. 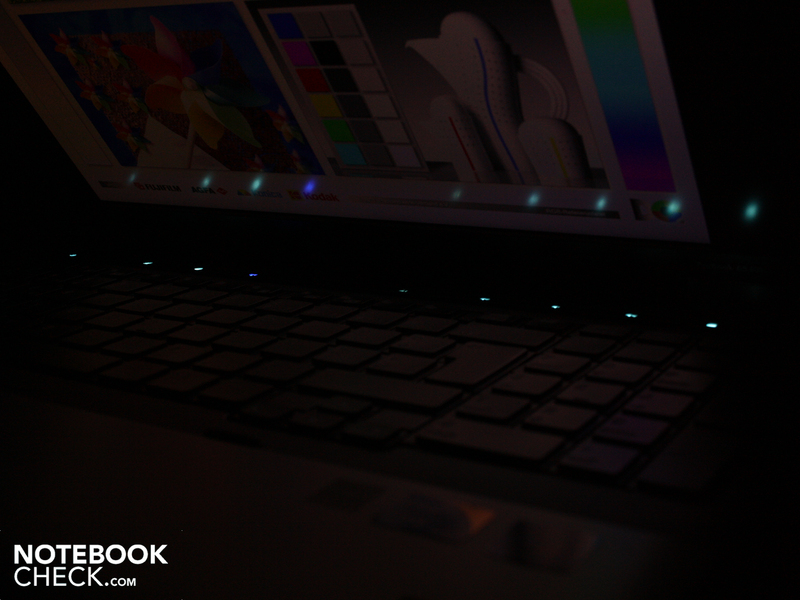 The manufacturer quoted battery life of 6:25 hours and the WXGA++ (1.600X900) resolution of the anti-glare display could be able to blow the Tecra A11-125 and Lifebook S710 out of the water. Whether the Probook does this follows in our detailed review. 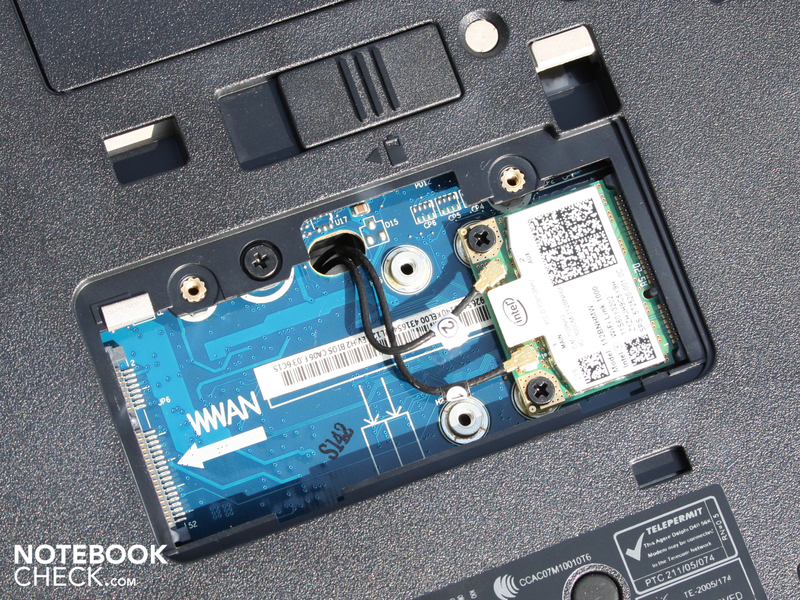 The ProBook 6540b (WD690EA) comes out strong in terms of its construction. We have to say up front that though we are not dealing with a perfectly stable construction, the whole package seems right. The heavy chassis (2.768 gram) makes no pretences with its 15.6" format and doesn't try to hide its dimensions. On the contrary, the palm rests and the working area around it comprise a surface which hangs roughly three to 6 millimeter over the edge of the notebook. Because of that, the hands especially have a very large support. The keys sit in a black, somewhat deeper lying area. With both hands gripping the front corners we can noticeably bend the chassis. The bending is however limited and no creaking emerges. The base is the only problem child in terms of construction. We can clearly dent the thin plastic underneath the optical deck. This seems especially bothersome to the user when he tries to lift the notebook while gripping the right side with one hand. But our criticism ends with the metal hinges. These are attached to the case very solidly and hold the wide display in a such a taught position that opening with a single hand is possible. On bumpy car and train rides, the cover doesn't tend to teeter back. The surface is made of a hard plastic which can, however, clearly be dented by isolated or broad pressing. 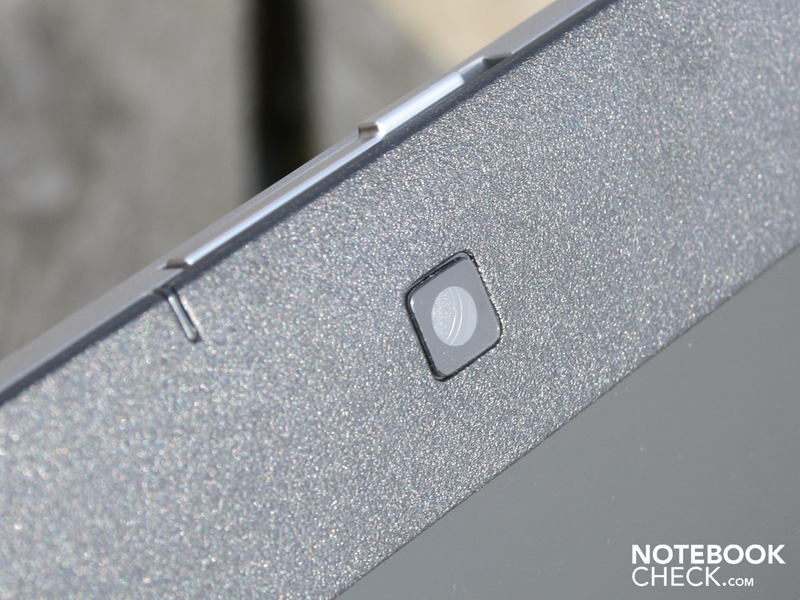 The cover is not entirely scratch-resistant but it can ward off fingerprints rather well. 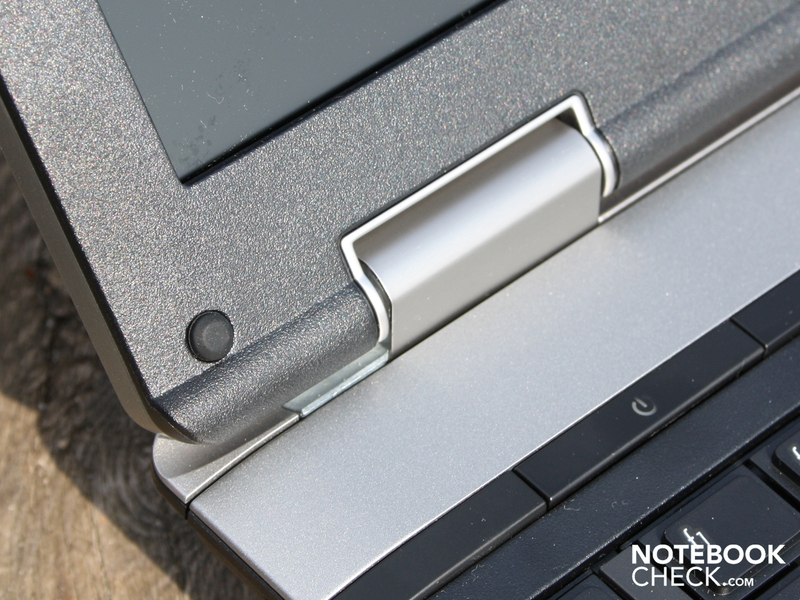 Something extinct among consumer notebooks: Display latching with snap hooks. 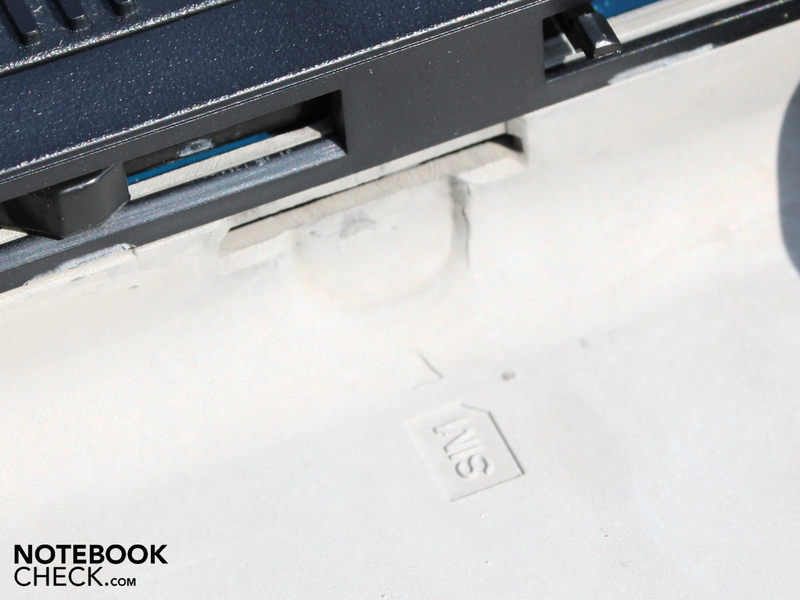 The ProBook 6540b has two of them. They too are made of plastic, which in the worst case promises a limited lifespan. We know it from notebooks from the 90s. In the heat of the moment, the use can quickly get caught on these little hooks and break them off. Anyway, the manual latching ensures secure fastening and prevents any bits from slipping in between during transport. In terms of connection options, the ProBook 6540b displays some special features. First, the conventional attachment of the cover makes it possible to situate ports on the back. Next to the modem port (RJ11) one finds a Kensignton lock as well as an Ethernet and VGA port. Though the power socket is no doubt bulkier than necessary, it is nonetheless found on the back side. By using the side face away from the user, the optical view of the side components is less encumbered by the many cables attached. On the left we find a small row of three USB ports and the display port. The later of those was included by HP instead of a HDMI plugin. The manufacturer did this in order to enable 2.560 X 1.600 pixels on the extreme display. 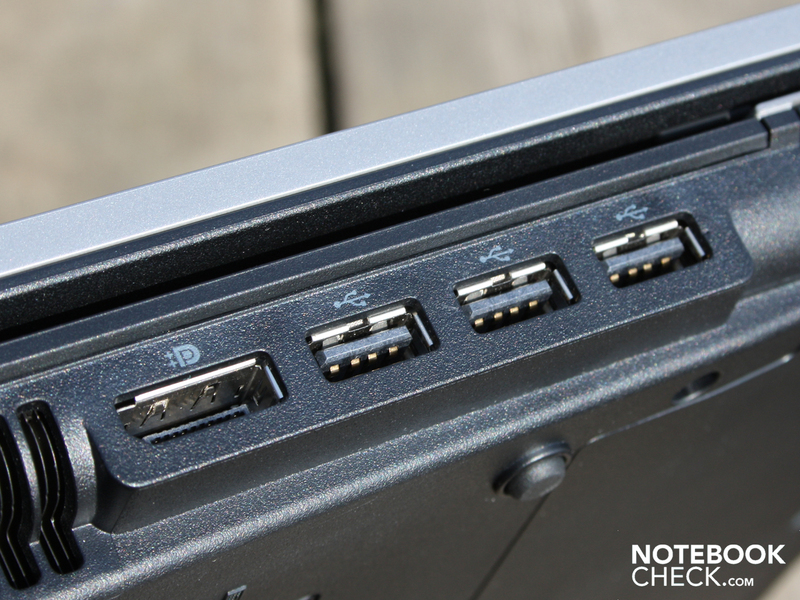 HDMI currently only allows Full HD on notebooks. In the same area we discover an uncommon ExpressCard54 duct. Add-in cards (interfaces, TV cards, flash memory) can be plugged in here. ExpressCard34 cards also fit. The audio plugins are found directly below this. While the front isn't cluttered with connections, the right side offers a small highlight. A seemingly outdated interface in the form of a screwed-in serial port (Com-Port, RS232, 9-pole). Input devices such as a mouse or a joystick were once plugged in here. Pros in the industry, however, still use RS232 for date acquisition on the machine. The main street user is more interested in the FireWire interface (i.LINK). This connects up camcorders or external hard drives and offers greater data throughput than a USB 2.0. And last but not least, this area of the case also isn't lacking of a CardReader and a fourth USB port. 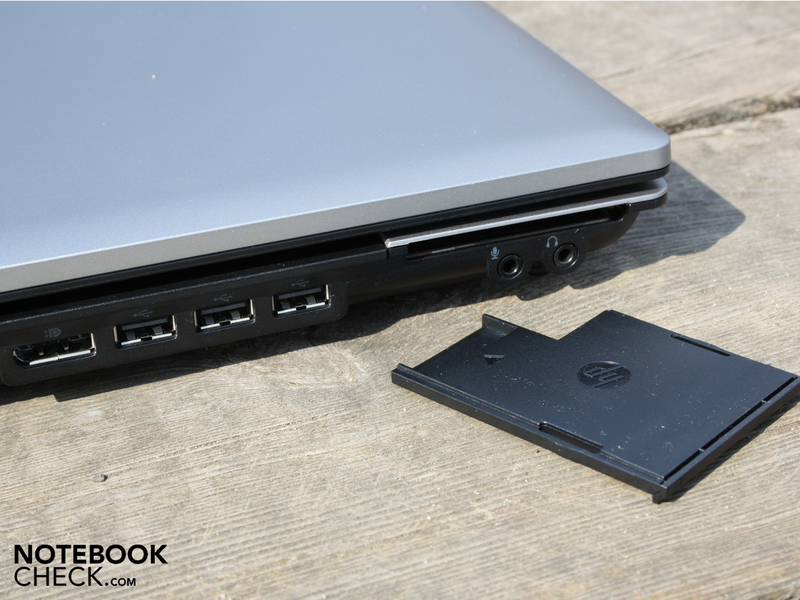 Users of the HP ProBook 6540b WD690EA could definitely miss an eSATA port for quick data transfer to an external eSATA harddrive. This problem can be mitigated however with the i.LINK port. Most eSATA HDD cases carry alternative FireWire and eSATA connections. 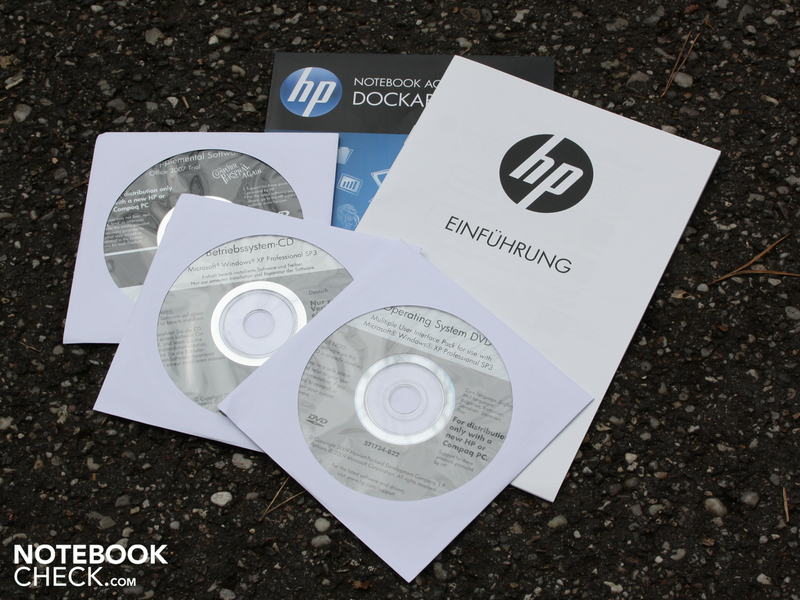 For those who feel the connections are not perfectly organized or if the complex plug-in-and-out is annoying, the HP NY223AA Advanced Dockingstation can be had for around 240 Euro. 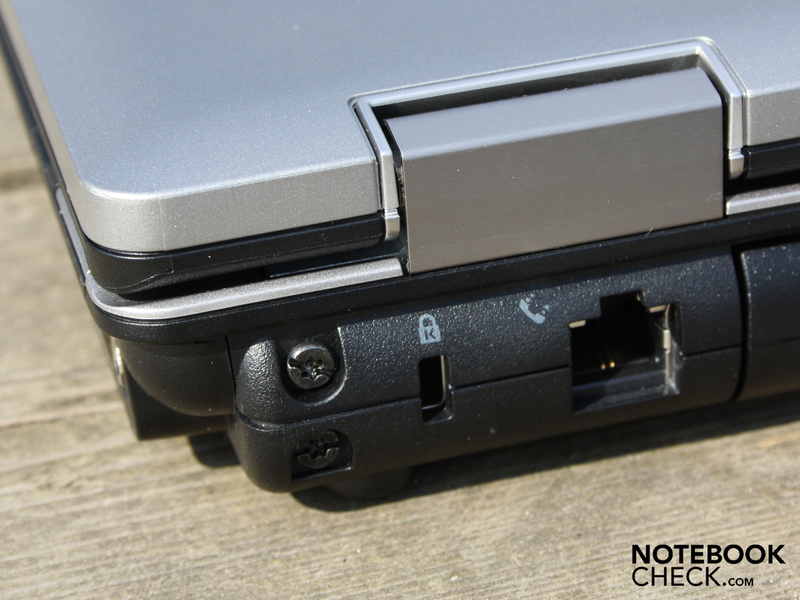 The 15.6"er can be attached here to the Docking port on the base plate and allow practically all the connections of the laptop to be activated. A parallel port (printer port, LPT, 25 pole) is also here. 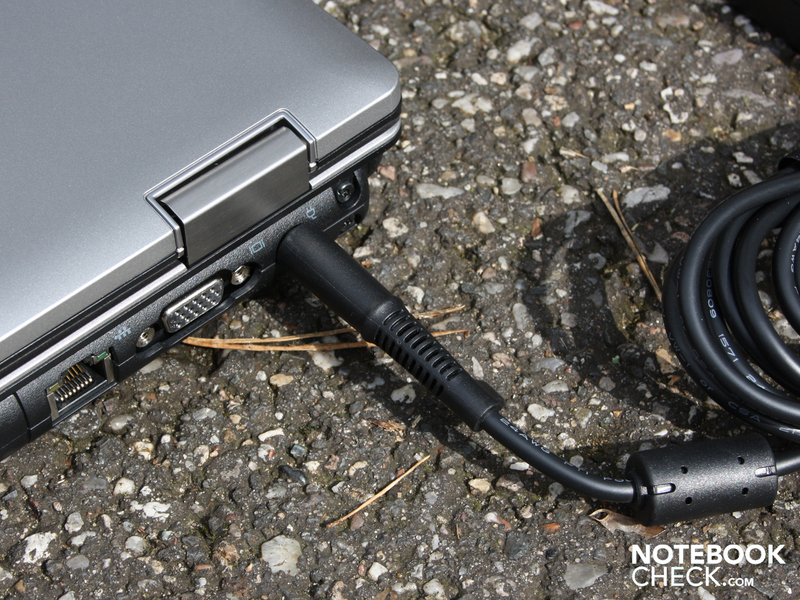 The NZ223AA carries a power adaptor, which when connected also supplies the notebook with power. 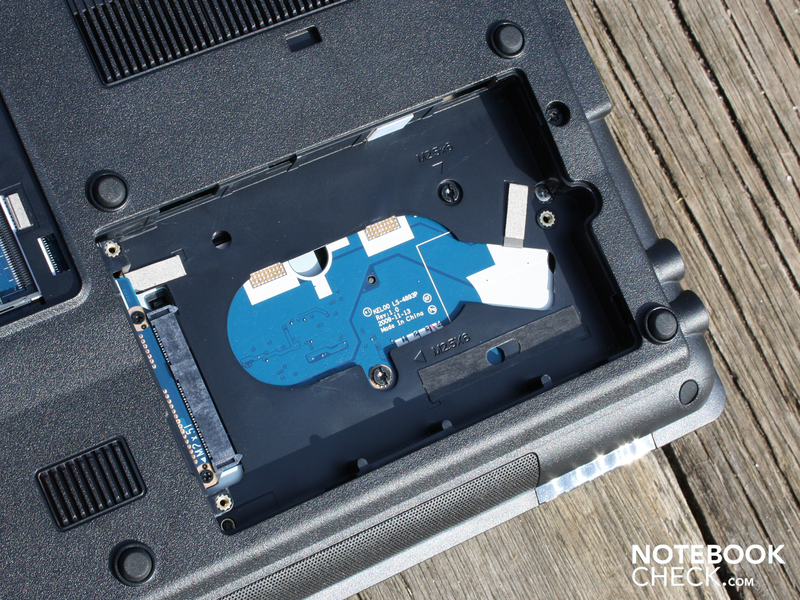 A small highlight of the dock is the integrated SATA expansion shaft, for example for a harddrive. Next to the docking power and underneath is a battery connection. Here one can plug in either the travel battery for extended operating time (AJ359Et) or the 12 cell battery with extreme high capacity (AT486AA). It is a kind of battery slice affixed securely to the base unit. HP claims an additional 10 hours of operating time with the 12 cell slice. Considering the long runtime of 5:14 hours (WLAN) one gets with the standard battery, we consider this claim to be pretty realistic. 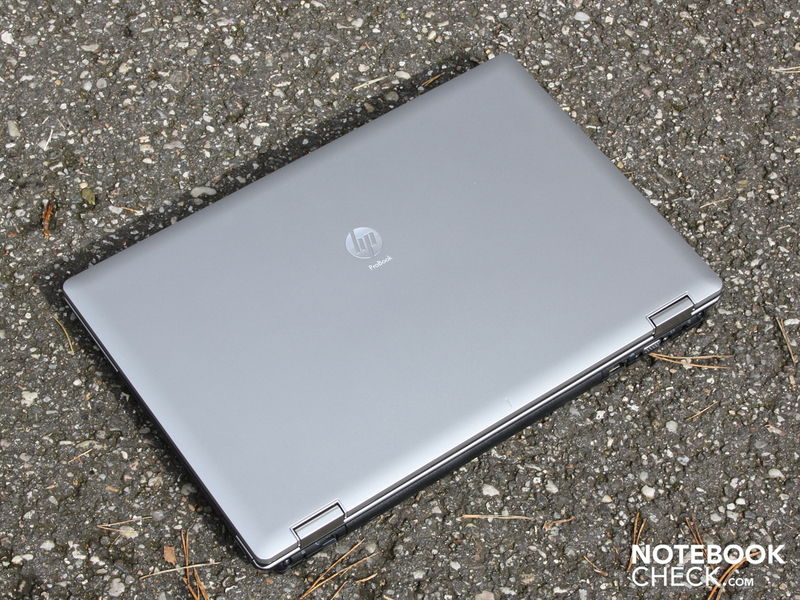 HP doesn't skimp on the keyboard or touchpad, and the user can be thankful for that. Though the space between the keys isn't as great as on desktop inputs, the area can be compared to external keyboard (width: 15mm; 18mm with socket). The key of the slightly offset numeric keypad is somewhat small with a width of 14mm. The keys offer us a crisp and clear pressure point, a generous stroke and a solid stop. 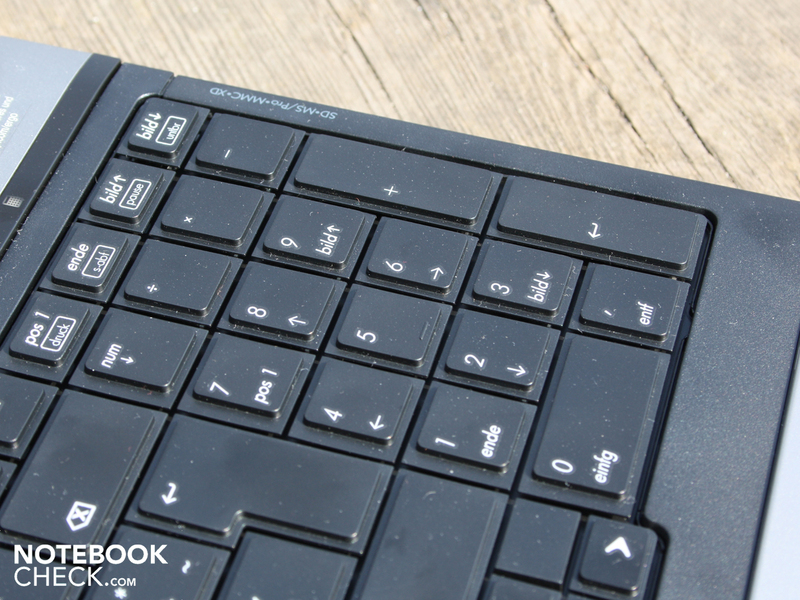 The key base sits solidly on the entire surface and only the bottom part of the numeric pad has some slight give. Under here is the visible drive. We also grade the offset arrow keys positively. Blind reaches of the fingers are possible without any keying errors. The alternative mouse sits much deeper than the palm support. The pleasant sliding Synaptics-Touch-Pad V7.4 is not particularly large (88mm diagonally) but is in a reasonable position within the margin area. The surface has a vertical and a horizontal scrollbar, but only the vertical is visually marked. The horizontal roll is deactivated in its as-delivered state. The mouse keys are made of hard rubber and are therefore quite grippy and slip-free. Their hub is very large and after only a short use it was clear that the muffled clicking is a pleasure. 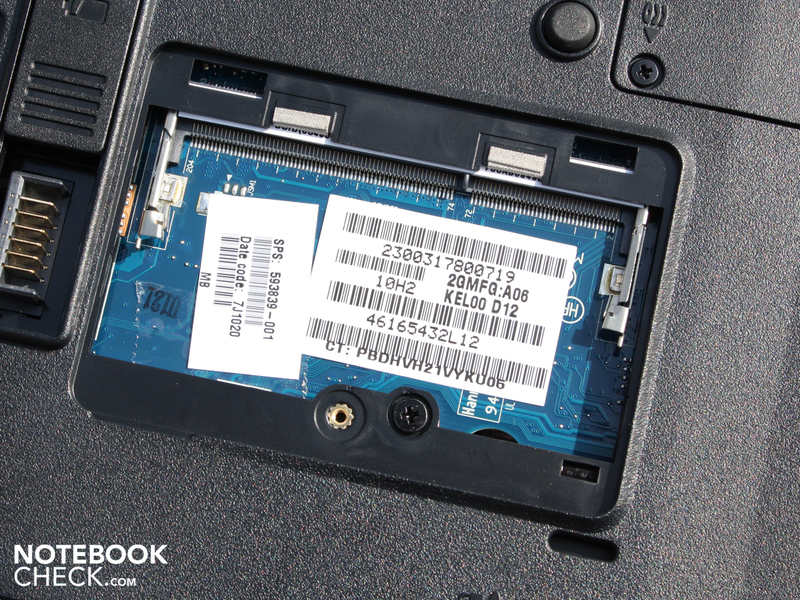 In theory, the Synaptics V7.4 is a Multitouch pad, just as it is built in on many consumer laptops. In practice, however, these functions are completely deactivated, something which can not be changed in pre-installed drivers. 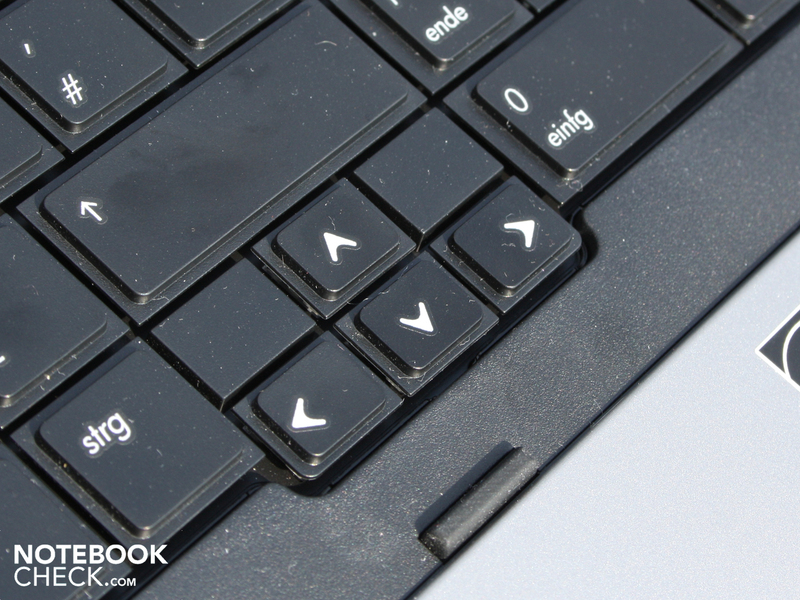 Therefore, users of the ProBook 6540b must do without multi-finger maneuvers. 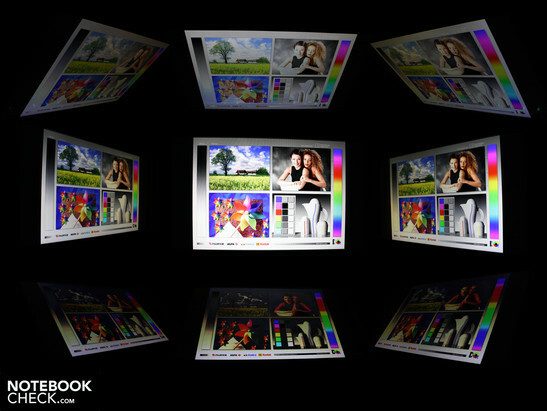 The WXGA++ display of the ProBook6540b has a fine resolution of 1.600 X 900 pixels. The LG panel (Type LP156WD1-TLD3) has been equipped with anti-glare so that the user doesn't have to worry about any strong reflections. The panel setup is ideal for the demands of a workplace notebook. High contrasts for color perceptions on pictures, tables and texts are available. We measure a black level of 0.41 cd/m² on full brightness. That gives a good contrast of 551:1. Though the color space doesn't come close to matching the RGB LED displays, the number of presentable colors seems to be greater than on most consumer laptops. 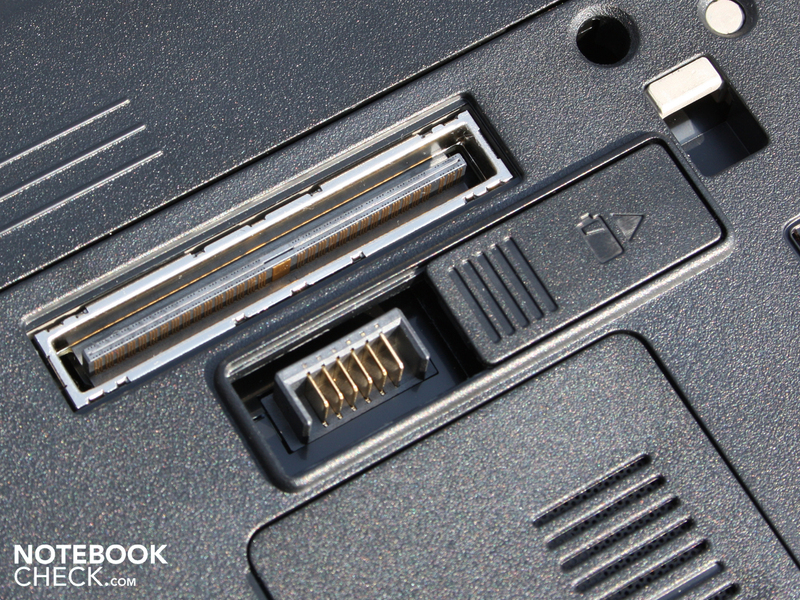 A special feature on the ProBook is the display port in the place of HDMI. The user has here the option of running external TFTs with up to 2.560 X 1.600 pixels. HDMI built into the HD4550 would only allow 1.920 X 1.090 pixels. The LED backlighting of the 15.6" display illuminates the panel up to 226 cd/m². It is more than enough for inside use as the average measurement was 214 cd/m². With the anti-glare TFT panel and the good mean brightness of 214 cd/m², the 15.6"er can certainly be used in daylight. We do, however, notice quickly that the brightness does not suffice in direct sunlight. The visual angle is dramatically reduced and the colors don't shine as much as normal. 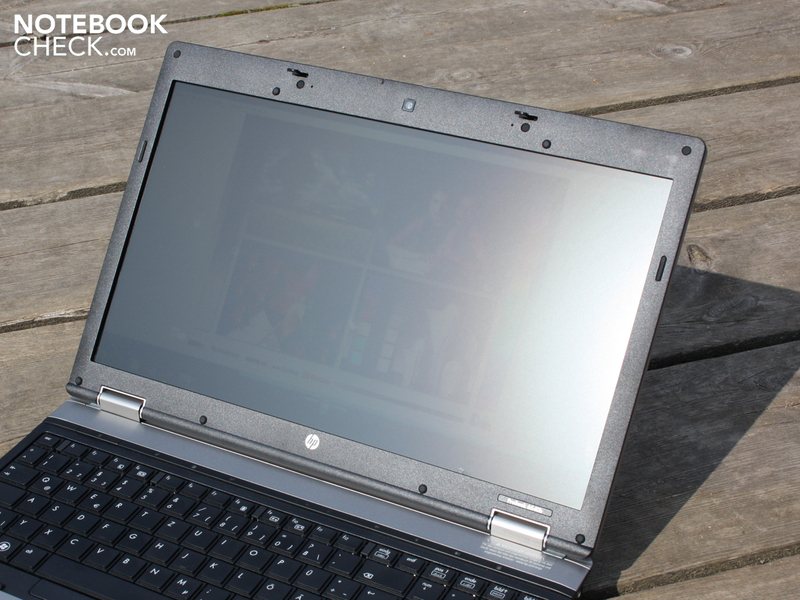 The ProBook 6540b is thus less suitable for use in the park or cafe, though the display does give a good basis for working. A good viewing angle for work is necessary on a notebook in order for the user to recognize colors and characters in regular lighting. Office notebooks typically offer very poor viewing angles, especially in the price class under 1,000 Euro. 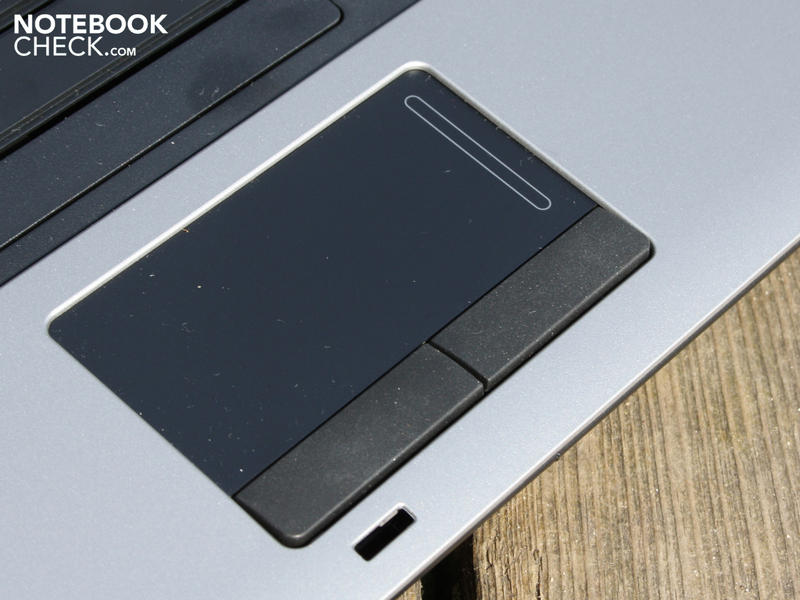 The ProBook is an exception, particularly in terms of its horizontal deflection. Here there are almost no color variations, even when we look at the display from a slanted angle. Our eyes can stray up to 34 degrees vertically before the colors begin to become noticeably inverted. This effect comes on slowly so that we can decipher the display clearly when tilted up to around 20 degrees. Perfectionists will be bothered by the vertical stability. The ProBook 6540b can't offer the color stability of desktop TFTs. 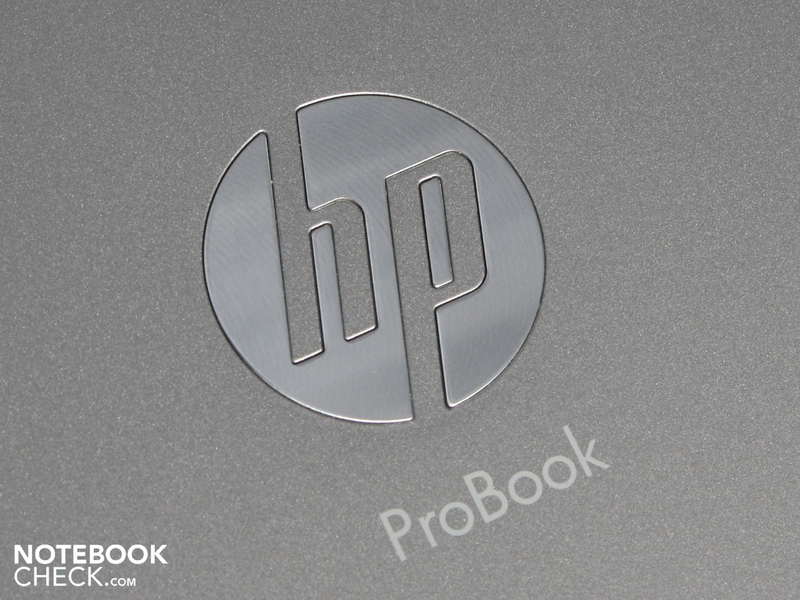 HP equips its ProBook 6540b with an Intel Core i5-430M. The 32nm CPU has two cores each with 2.26 GHz (Standard tact). The real tact in use goes up to 2.53 GHz. The dynamic overclocking is called Turbo boost in Intel jargon. The individual cells of the processor are thereby overclocked automatically. How high the tact exactly is decided by the processor itself through turbo boost and the demands of the particular application. Multi-core application are well provided for by a further feature of the processor: Hyper-Threading. The two physical cores are thereby supported by two virtual ones. Applications can then access up to four threads. HP committed a small faux pas in terms of memory as only 2.048 MB DDR3 (PC3-10600) come into play. In this price class where consumer notebooks have all long-since had 4 GB RAM, it could have surely been up to the standard equipment of the day. The 2 GB, which are not accessible by the user, sit on a DDR3 module beneath the base plate. 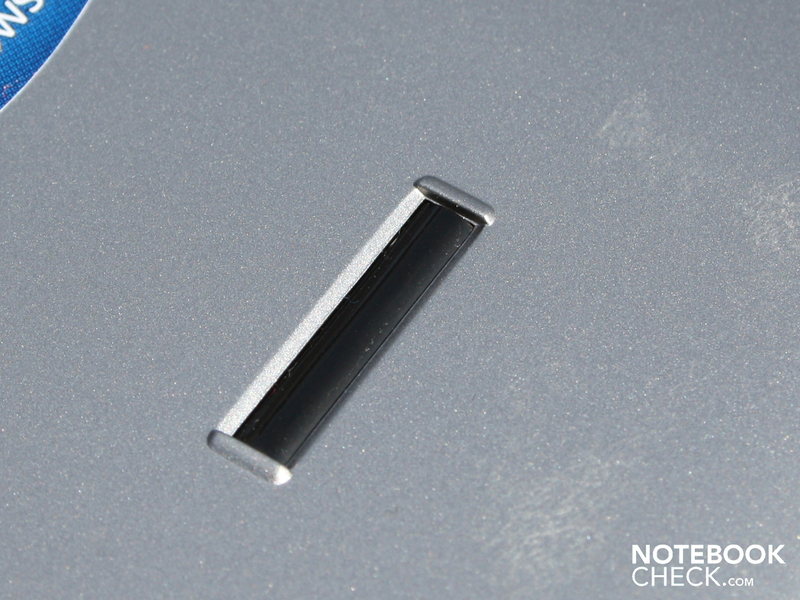 The upgrade option is a Single-RAM slot underneath a small flap on the underside. 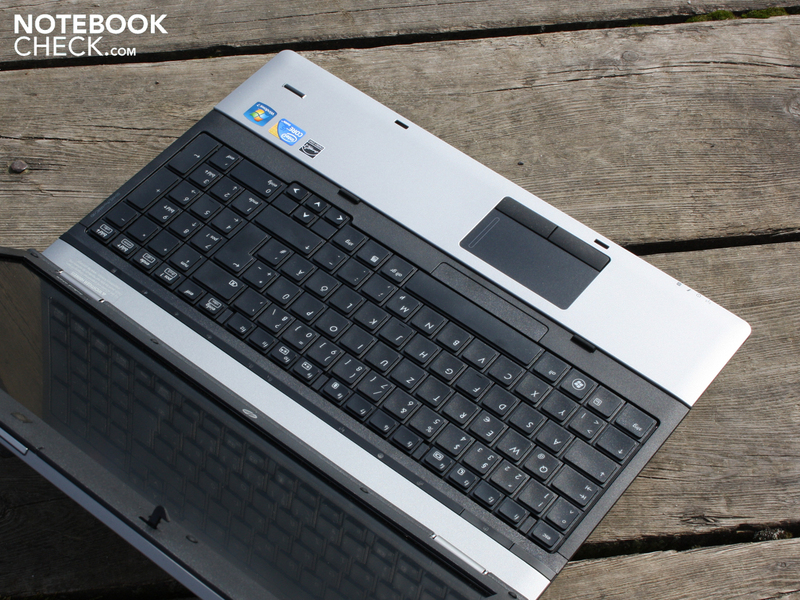 The ProBook 6540b is anything but a gaming notebook. Nevertheless, the 15.6"er carries the ATI Mobility Radeon HD4550, which can access 512 MB GDDR3. The memory clocks with 800, the core with 550 MHz. The GPU controls DirectX-10.1 effects. Although it is optimally equipped in terms of its graphic card, it is not suitable for games. The classic 3DMark 2006 ended up with a weak 3.465 points. For comparison: A Packard Bell Easynote TJ75-JO-070GE with the same CPU but a faster mid-range GPU HD5650 achieves 6.674 3DMarks06. When compared to integrated Intel graphics, the HD 4550 achieves still noticeably more and also offers a better driver support for games. But 3D-Performance is not the goal of the dedicated GPU in the ProBook. As an advantage over the cheaper variants of the 6540b (starting at 750 Euro) equipped with the current Intel HD, the 4550 can use the computing power of the graphic card through ATI Stream or (later with) DirectCompute in order encode videos (for instance with Cyberlinks Power Director 7). Another reason for the dedicated GPU, one could say, is the high resolution of 2.560 X 1.600 pixels, which can be controlled from on an external display via DisplayPort. The Intel HD Graphics sitting in the i5-CPU can also do that, however. 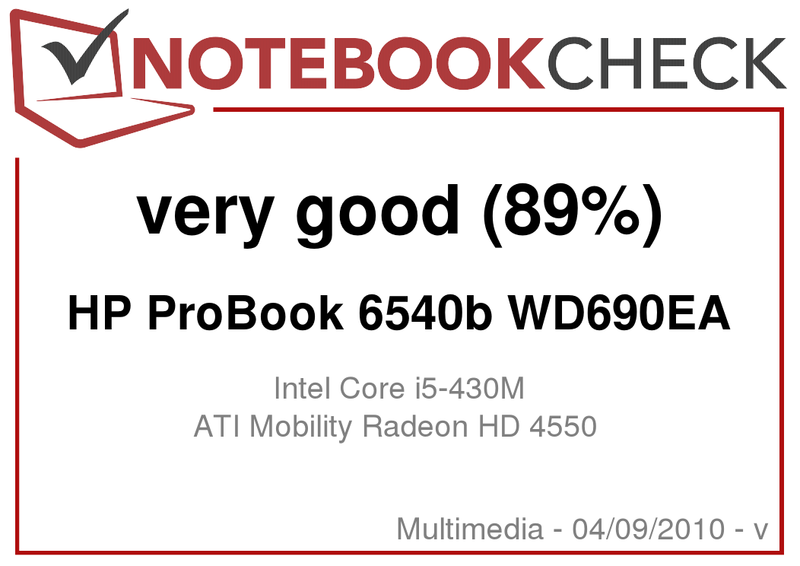 The ProBook 6540b shows up with its Core i5 processor along with dedicated mid-range graphics in order to at least meet the requirements of a good all-rounder. Whether or not the interplay of computing power, speed of the hard drive and hardware acceleration through the GPU (OpenGL 2.0, ATI Stream) function so quickly can be revealed by the PCMark Vantage. Its overall result of 5.158 point is somewhat astounding. Other laptops with the same i5-430M CPU get 5.386 (Sony Vaio VPC-EB1S1E/BJ), 5.535 (Asus N71J) or even 5.835 points (Packard Bell Easynote TJ75-JO-070GE. 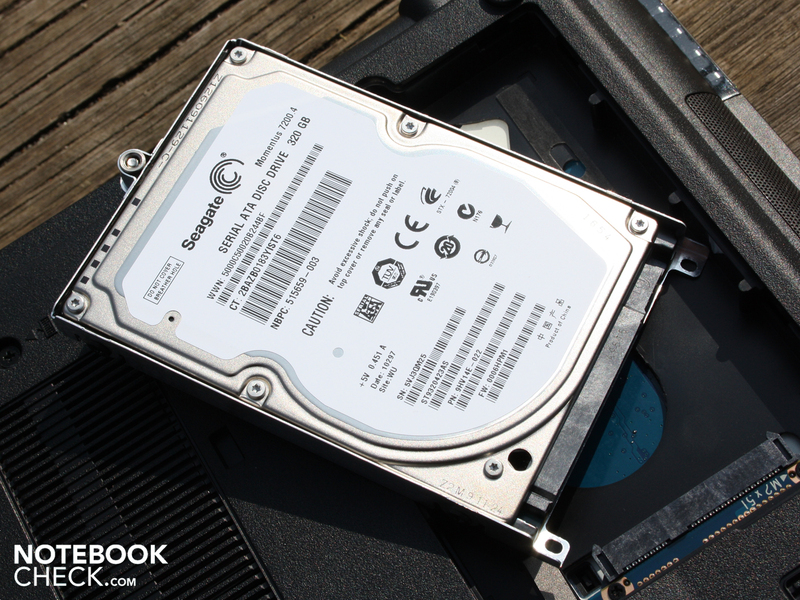 The low rating is not because of the hard drive as the 7.200 rpm HDD is very fast with its 73.4 MB per second. It was much more the partial scoring for gaming in the PCMark Vantage, which was come up much lower than for comparable models with stronger GPUs like Mobility Radeon HD 5650. Furthermore, the memory score was unusually low, something that likely had to do with its small memory offering of only 2.048 MB (DDR3 SDRAM). The fast 7.200 RPM hard drive from Seagate (ST9329423AS) with its 320 GB gross capacity makes itself known as a real performer of the system. The HDD reads from the drive with 73.4 MByte/s in Sequential Read Data. The HDD is only heard as a constant ambient noise while in use. With the high turning speed of the 2.4" HDD, one can perceive a light drone from the tabletop. We can eliminate this noise by placing a soft pad underneath the feet. Users may be aware of this phenomenon from fast spinning external harddrives. 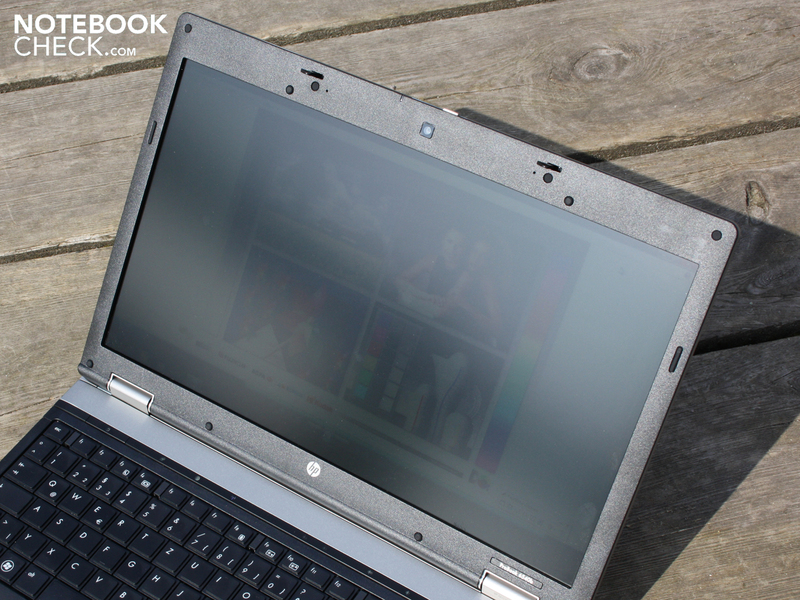 The system noise is the only weak point of the ProBook 6540b. This is only the case, however, when the notebook is under full load. In idle mode with energy saving activated, the noise remains constantly low. We measure 33.7 dB(A). The fan is at this point deactivated and the sound is emitted from the 7.200 rpm hard drive. Small and short computing tasks don't bring the fan to life. Even when it activates its noise level stays under the minimal level set by HDD. Even the light clacking of the hard drive during writing and reading activities stays within reason and doesn't disturb with an audible 34.1 dB(A). The volume rises up to 43.8 dB(A) on our 3D-Benchmark test. This applies to applications which significantly demand the GPU. If only the CPU runs at highest performance, the noise level doesn't reach over 36.4 dB(A). Only after a stress test of the processor and graphic card over several hours could the 6540b be really overextended: 47.6 dB(A). This is very loud and audible. But the spinning of the fan remains favorably constant. It doesn't result in an annoying oscillation. With so much noise under load, do at least the temperatures stay within reason? This is an affirmative. Even after a stress test over several hours we were unable to get the temperature on the surface spots up over 37.1 degrees Celcius. We test the maximum surface temperature on a point in the middle of the underside. All the other areas are, even under stress, surprisingly cool. The base plate for instance has a mean temperature of 31 degrees Celcius. The work area comes up even better. Here we measured an average of 23 degrees on the hand rests. The warmest spot didn't get over 34 degrees. While doing work processing and web-surfing, the average temperature remained around only 29 degrees. The hand rest stays within the green zone with around 24 degree. Time and again was it the case that individual spots on the notebook did not necessarily warm up more under load than at idle. Especially the upper side, with the exception of the area around the heat pipe, remained unfazed by the stress test. The explanation: With a fast air current, the warm air had no time to heat up the case. Though the components generate significantly more heat, a rapid airing out takes place in the whole case. 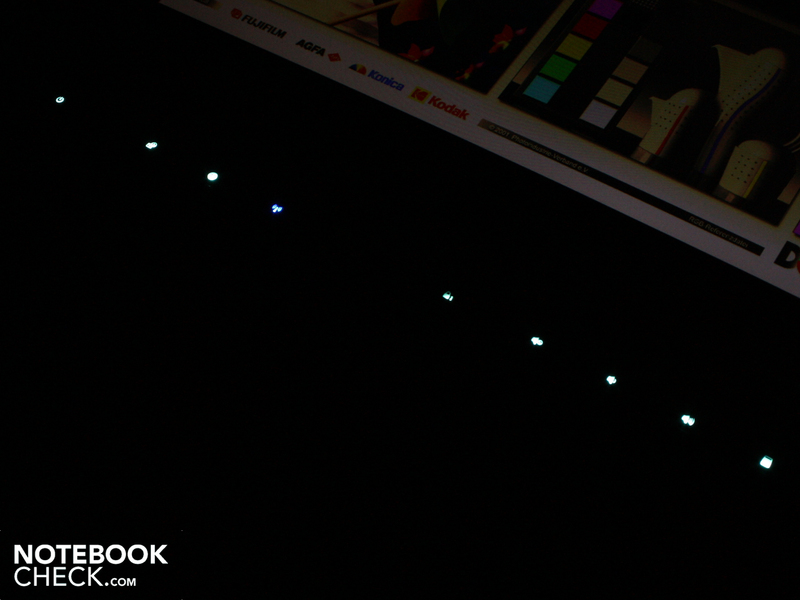 The ProBook completed the stress test with flying colors. There was no crashing and CPUs like graphics experiences no losses right up through the end (thermal throttling; 3.459 3DMarks; CPU 2.544). The processor got up to 84 degrees during the stress test. The ATI GPU to even 99 degrees. This sounds threatening, but we can give the all-clear signal. The GPU stress test Furmark on the CPU capacity Prime95 is a constant stress, which won't be reproduced in normal or even demanding application. (+) The average temperature of the palmrest area of similar devices was 29.1 °C / 84.4 F (+3.4 °C / 6.1 F). 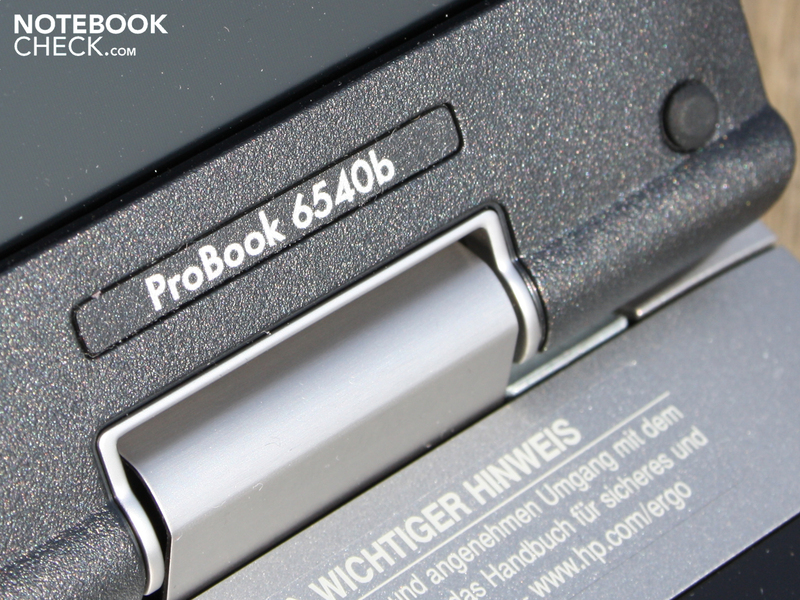 The speakers of the ProBook are not worth mentioning and should only be referred to in the singular. The reason: There is only a Mono-speaker on the base. Its sound accentuates the middle and is overall rather dull. The volume is adequate but not particularly high. Hooking up external speakers to the 3.5mm sound outlet is therefore obligatory. We tested the outlet with two Yamaha speakers (YST-M20SDP). The ATI RV730 High Definition Audio Controller integrated in the graphic card delivered a very high sound levels with hardly any whooshing. The external speakers can therefore be used rustle-free. Loading curve of the battery: 110 min. The 15.6"er is equipped with a 55 Watt per hour battery (5.100 mAh). This keeps the ProBook on its feet for a surprisingly long time, especially when the processer and graphic card aren't burdened. During a WLAN surfing session we got a running time of 5:14 hours (314 min.). In these five hours we visited new portals and ran the display brightness on a medium level. 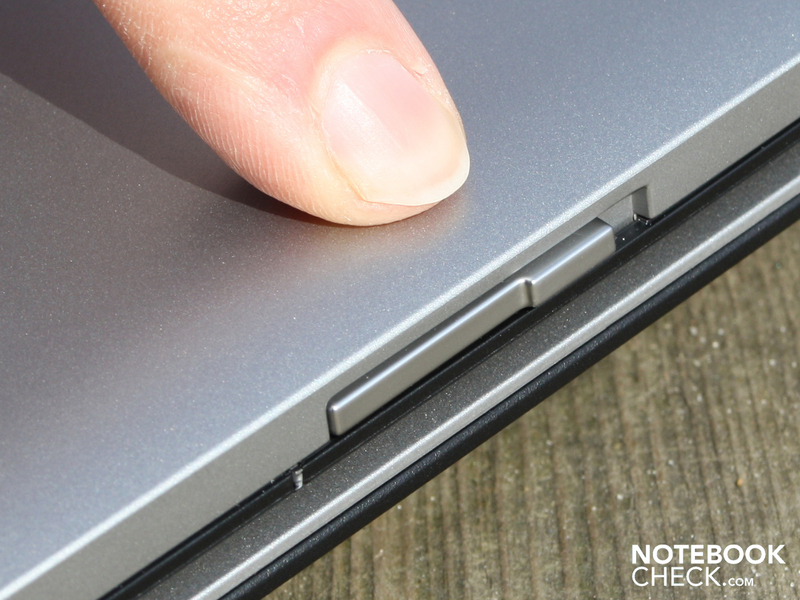 For those to whom that is too little, they can get a 12 cell battery slice hooked up underneath the notebook. 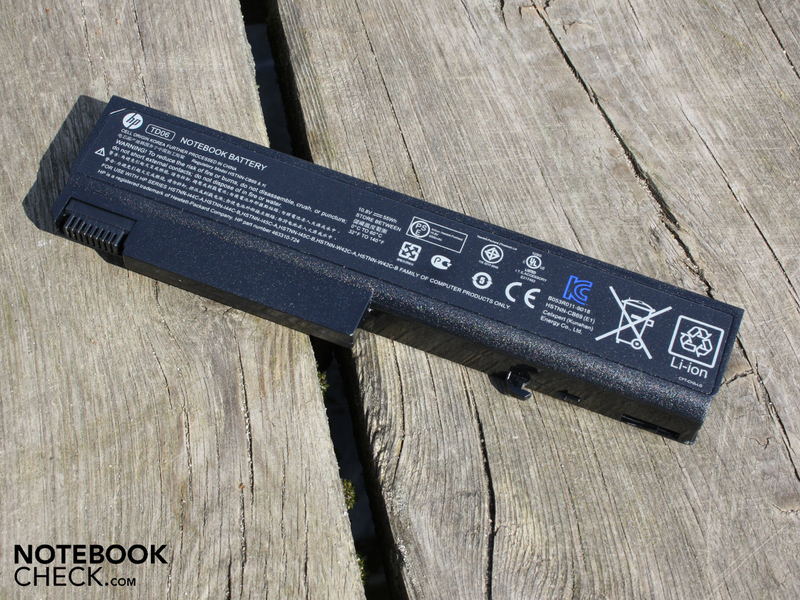 According to HP, this additional battery pack enables up to ten additional hours of use. The maximum yet unrealistic battery life which we ascertained from the BatteryEater Reader-Test was around 304 minutes (5:04 hours). The brightness of the display was set on the lowest level for this test and the radio modules were inactive. A film from a DVD runs only a weak 144 minutes. The brightness was on the medium level and the radio modules inactive during these 2:24 hours. The fact that the BatteryEaster-Test with its long running time is correct can be backed up by the minimal power usage. When all energy-saving options are exhausted and the luminance is on its lowest level, the current consumption at idle is 13.3 watts. More realistic for the user are 18.8 watts. That is how much the 15.6"er permit while at medium current consumption at idle. As soon as the CPU and GPU begin to work, the current consumption rises dramatically. 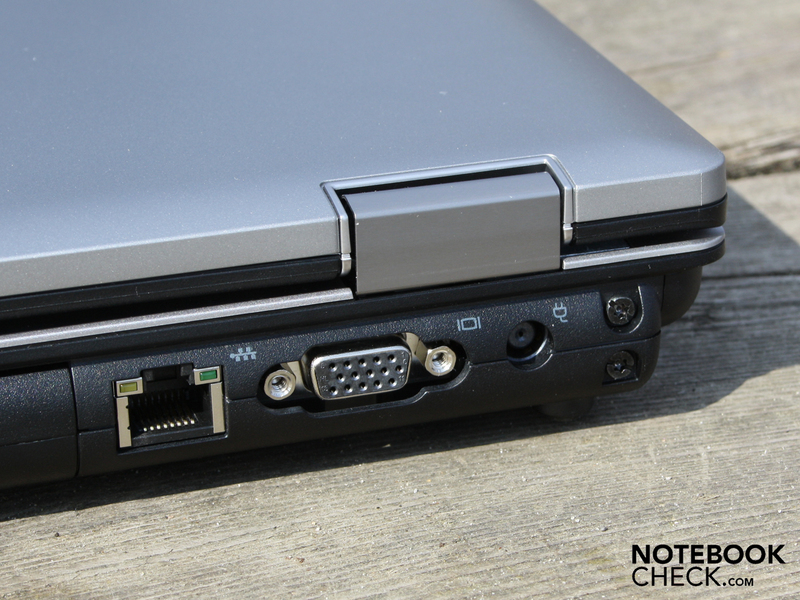 The HD4550 needs 58 watts when the 3DMarks2006 is hooked up to the entire notebook. We get the maximum energy usage in the stress test with Prime95 and Furmark. The multimeter shows now 75 watts. The 90 watt power pack is adequately dimensioned. 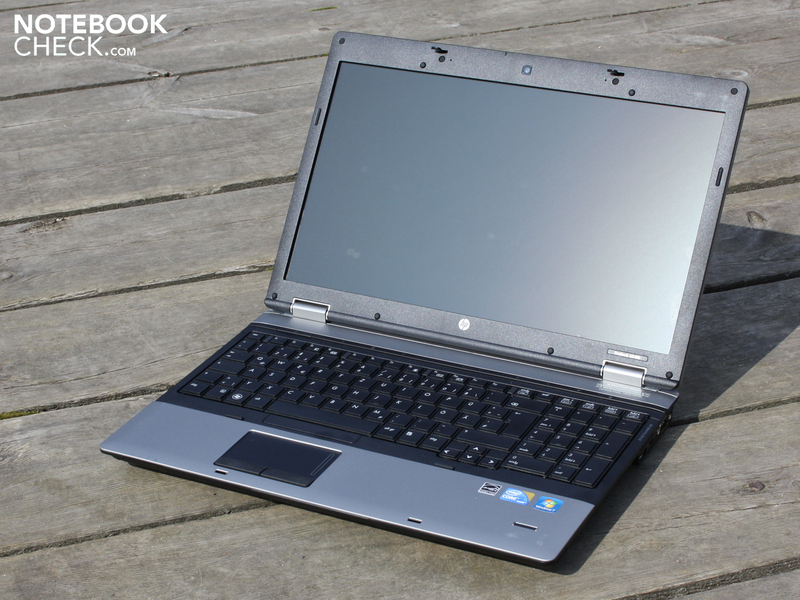 The ProBook 6540b shows itself to be a reasonably priced but nevertheless fully thought-out business notebook. Connections like serial, display port, modem or optional fittings like the docking station or the battery slice make the 15.6"er up to the tasks of professional application. In terms of the display, we are impressed with the high WXGA++ resolution (1.600 x 900 pixels) on the matt display panel with strong contrasts. 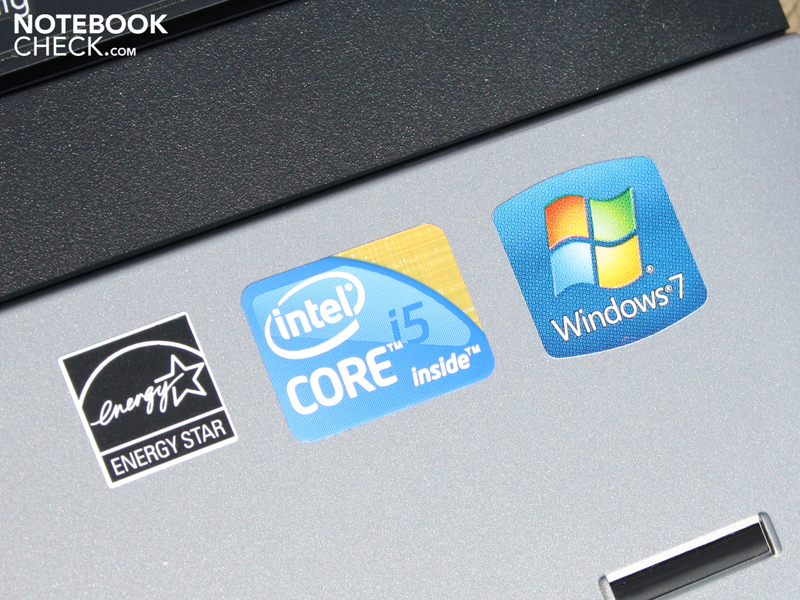 A faster Core i5-430M processor gives the laptop good computing power. In combination with a mid-range GPU like the ATI Mobility Radeon HD 4550, the laptop can be used as a performing work tool for professionals or ambitious consumers. The graphics of the integrated Intel GMA HD would be enough for most users. The cooling system accomplishes its cooling tasks very well and the temperatures on the surface remain very low. That holds true to some extent for the system noise. It is pleasantly quiet at idle but roaring-loud under load. In terms of the input devices, we hardly have reason to criticize. Some will miss a Trackpoint. Everyone else will be happy with the keypad with strong feedback and the rubber touchpad keys. The case is not stable in some spots, but there are no real flaws which make us uneasy. 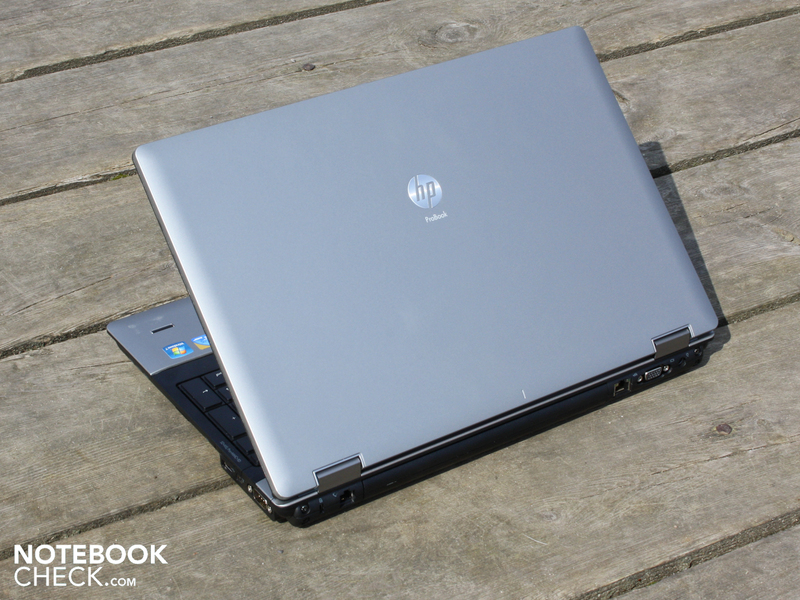 In our eyes, the HP ProBook 6540b stacks up well against the recently tested competition. This is clear from its grading. The 6540b is better constructed than the Fujitsu Lifebook S710 and beats the less expensive competitors with a long running time, despite its limited graphics. Even the Toshiba Tecra A11-125 must concede defeat due to its mediocre running time and the meagre HD-Ready resolution on the poorly contrasted panel. 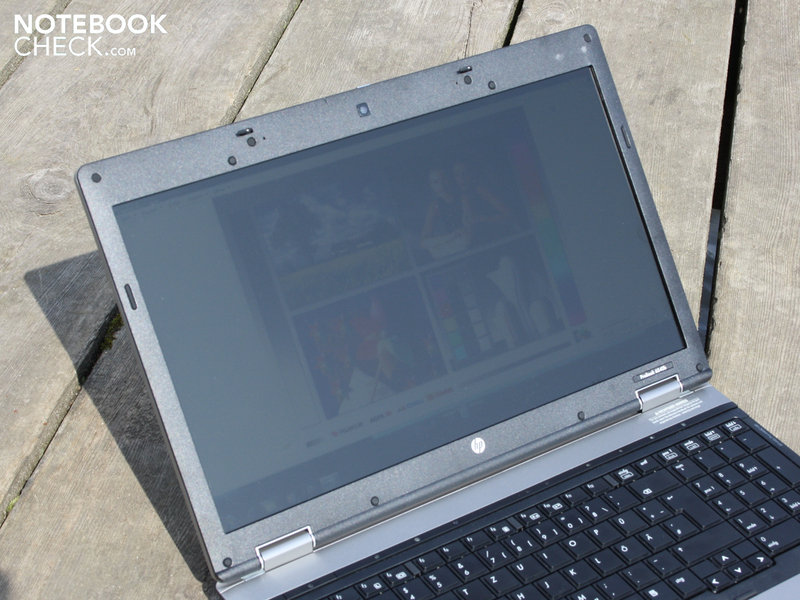 Hewlett Packards ProBook series falls between inexpensive office notebooks and the high-end elite laptops. The 6540b offers connections on the back side. The bulky VGA and Ethernet cable are not bothersome when using the mouse because of this. Left of that there is even a modem connection. Even today this is practical for sending faxes over a TAE telephone line. This ExpressCard54 duct for expansion cards is also unusual. Even smaller ExpressCard34 cards fit. A serial port (D-Sub, RS232, 9 pole) is still interesting for technicians. This can still be used for data acquisition programs. Next to the USB panel is a display port to hook up a TFT. There is no HDMI! 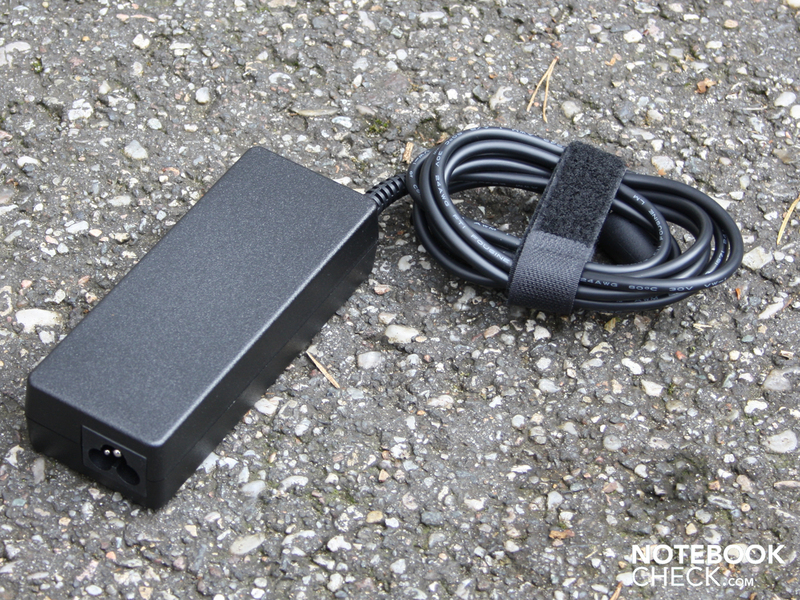 For light applications, users can leave the 90 watt power pack at home. The 55 Wh battery allows five hours operation when surfing the net. One of these was not installed in our tester. The fitting mini PCI-Express slot is left open. The memory can be equipped with an additional module. The other DDR3 slot is not so easily accessed. The hard drive spins at 7.200r/min and is audible with a light clatter. It is a 320GB Seagate Momentus ST9320423S. The point of these rubber pieces is not entirely clear to us. They could in any case help to orient ones hands. and unfortunately clearly reflect in TFT. 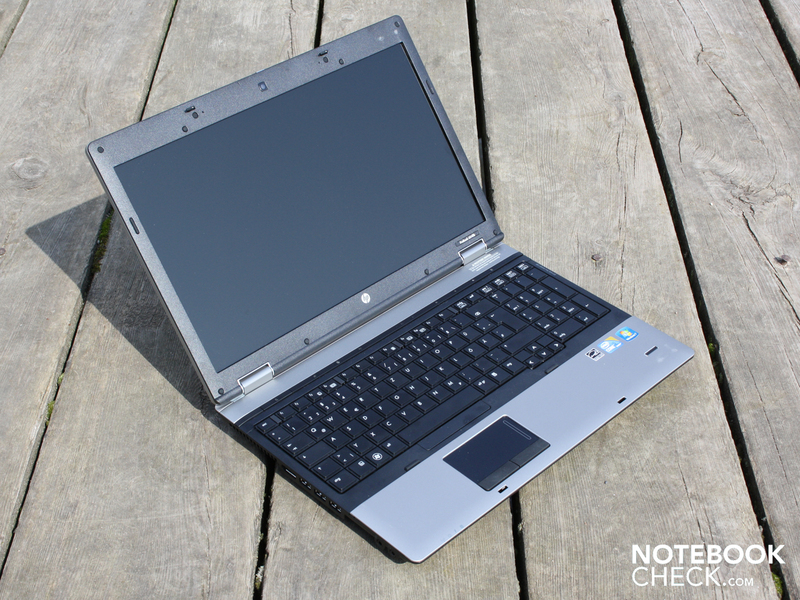 The 15.6" model 6540b WD690EA with Core i5-430M had to prove itself in our tests. Price: around 855 Euro. The sober and matt case offers hardly any visual attractions. But it doesn't need them either. The solid construction with its impervious surface is made for professional applications. The silver lid with the subdued HP logo makes clear from the state that we are dealing with an office servant. But what is he really made of? Most importantly, the 15.6"er brings good connectivity to the table. The numeric keypad is also up there. 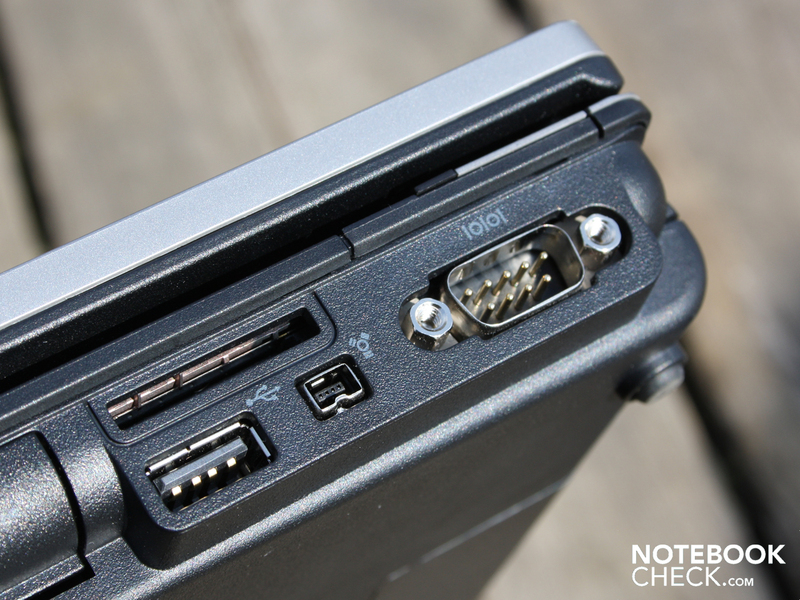 Long extinct among consumer laptops: the display latch. The current Arrandale processor from Intel together with the dedicated ATI graphic card assure high application performance. The webcam is also standard for a business model these days. but the firm fitting hinge is. We'd say: ThinkPad stability. A must for office use is a glare-free display. That makes work in sunlight more pleasant. 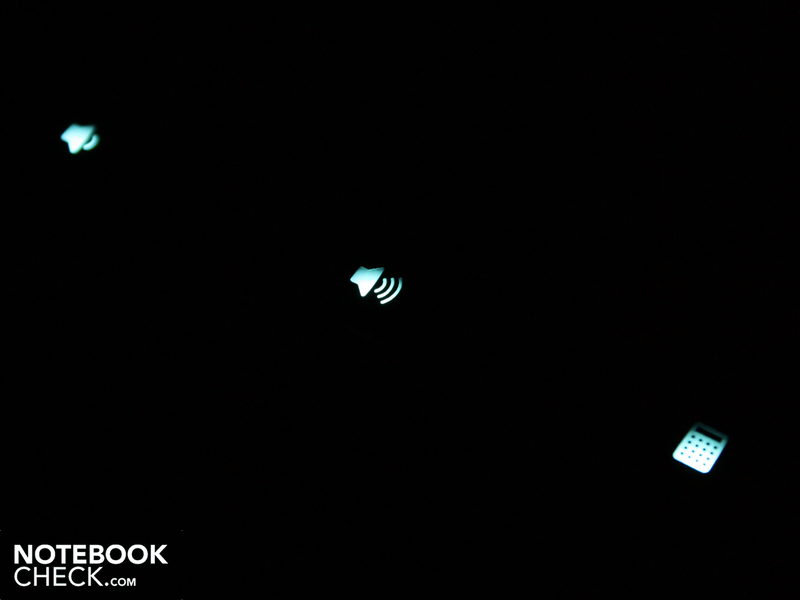 The Status LEDs generate a small light show across the inputs. There is no data medium for the preinstalled Windows 7 Professional 32 Bit in the accessories supplied. But it does come with Windows XP Professional which is delivered with a second OS. Connections and accessory options normally found on a pro business machine. The TFT panel pleases us through and through - despite limited reflections. Everything is through and through. We didn't miss anything. 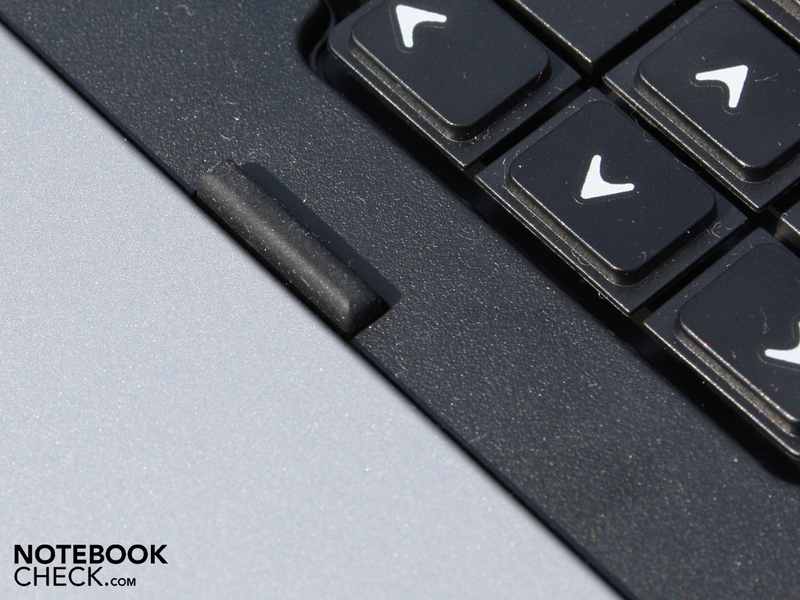 The ProBook doesn't bring the high quality of construction and the haptic of an elite notebook into the office. The whole concept of performance, inputs and connections doesn't concede a thing to its elite brothers. Toshiba Tecra A11-125: For 760 Euro also with a good keyboard but only in HD-Ready. 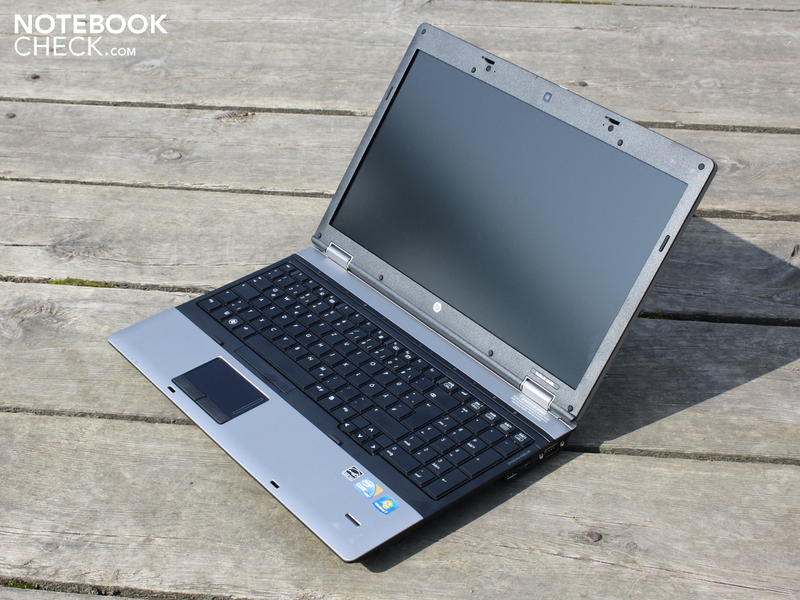 Fujitsu Lifebook S710: For 900 Euro extremely quiet but with a low-grade construction.